Its REALLY hard to convert your visitors into customers. What makes the conversion problem particularly pressing? You profit margin is laser thin! You are not able to recover your investments etc. In this article, I’ll teach you how to implement the strategies(not tactics), secrets and fundamentals on how to increase Shopify conversions. Note: If you want the basics to improve your Shopify Conversion Rate, read The Beginner’s Guide to Conversion Rate Optimization first, before reading this! Although this article is targeted towards Shopify stores, you can apply these advices to any of your eCommerce stores irrespective of its platform. So, what is Shopify Conversion Optimization? Why should I care about Conversion Optimization for Shopify Store? If you double your conversion rate you double your revenue. When you double your conversion rate(and revenue), your costs won’t double because not all costs are directly proportional to revenue! 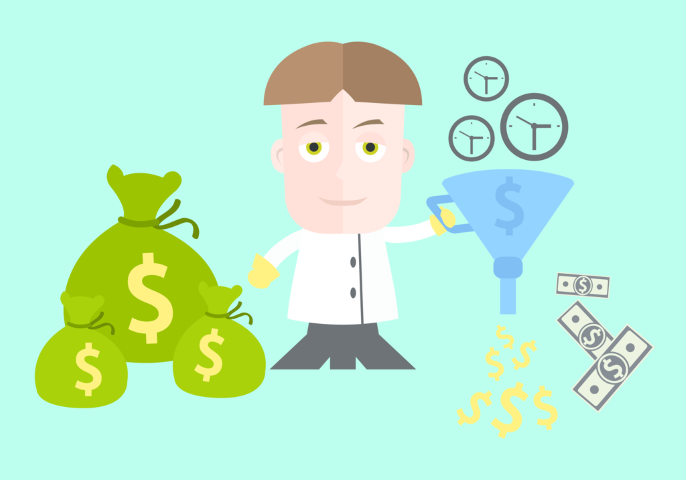 When you increase your conversion rates, you naturally become more profitable. And, you can re-invest that profits back into your business. When you increase your marketing and sales budgets using your additional profits, you can get loads of new customers. Redesigning your Shopify store costs you time + money and what if that redesign is done without CRO in mind? Most often, redesigns are usually aesthetic upgrades. Most web agencies or designers design for beauty, paying little more than lip service toward the goals of the business and its customers. 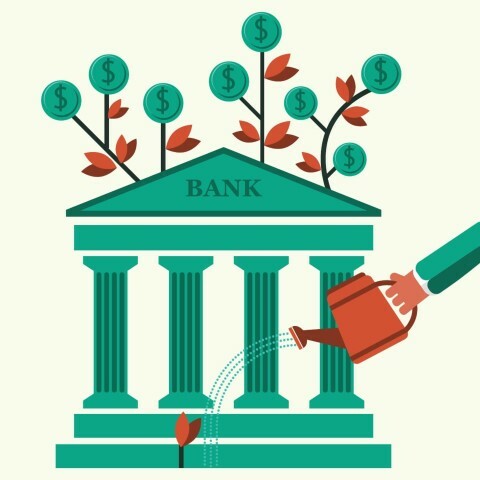 Even if you are satisfied with the current conversion rates, you can always grow your profits as well as create a more delightful shopping experience. Paid advertising channels like PPC is getting more costly per click and also its bidding rates! If your landing page is not converting, then why do any paid advertising in the first place? #7: Your affiliate partners will love you more! CRO helps you to sell more. …and, affiliate marketers love to promote products that sells more! CRO helps you to optimize areas that benefits you the most. You don’t need to be 10x times better than your competitor to become a market leader in your niche. CRO capitalizes on the traffic that you already have. You aren’t spending more money getting visitors to your Shopify store; You convert them once they get there! Converting your current visitors is cheaper than attracting new ones, right? So its a better Return On Investment than anything else. Tactics and Tools will only give you short time mileage. What it matters in the long-term is what you learn and how quickly you will execute your Conversion Rate Optimization(CRO) strategy. So in this article, we will delve more into the First Principles of each area of Shopify Conversion Rate Optimization(CRO) strategy. The benefit of “First Principles” thinking is that it allows you to innovate in clear leaps, rather than building small improvements onto something that already exists. Elon Musk is perhaps the boldest entrepreneur on the planet right now. Let’s listen it straight from his mouth. [With first principles] you boil things down to the most fundamental truths…and then reason up from there. To Never follow best practices blindly! 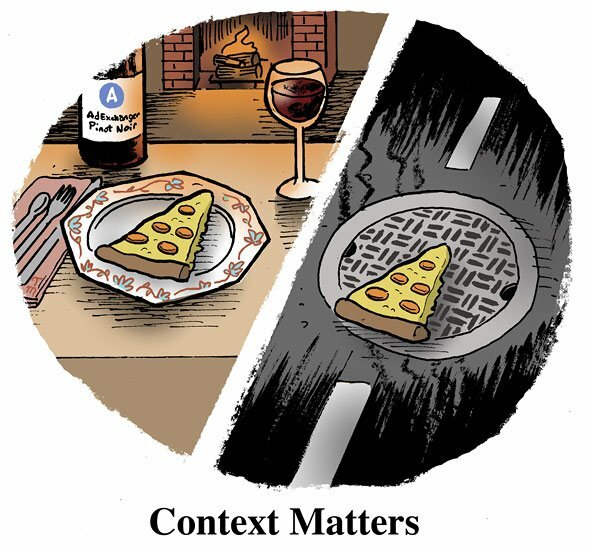 “Best practices” without context are just “practices”. “There are no best practices”, you must test every design change before rolling it out. Common sense or simple fixes can be applied without the overhead of an A/B test, thereby saving your precious time and resources for things that you’re unsure. For example, adding a “Wishlist” feature to your Shopify store. Remember: What brought millions of revenue for Shop X will never work in your store because of the above reason! When you start thinking strategically, you improve your marketing effectiveness and ultimately profits. You save money because time is money! 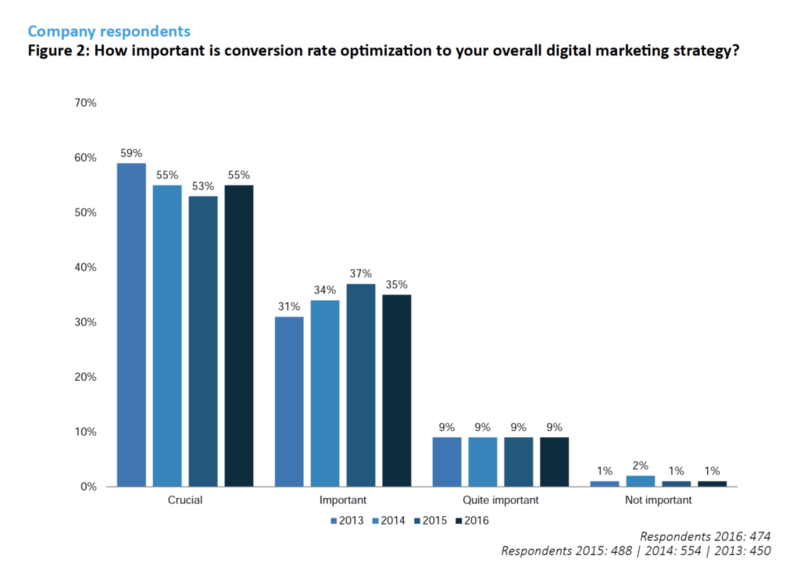 In this study we can see that over half of companies plan to increase their conversion optimization budgets in 2017. 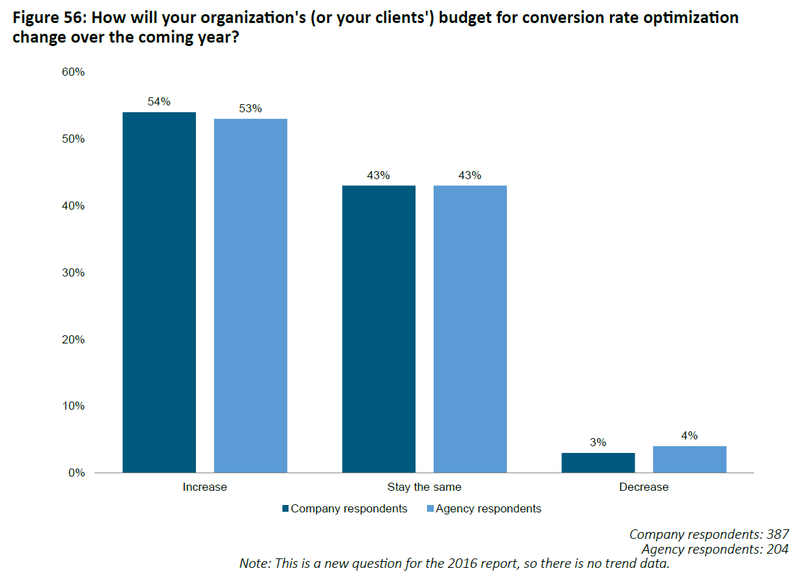 With 73% of those who have already increased their CRO budget seeing improved conversion rates, there appears to be a clear correlation between investment and result. In short, Conversion rate optimization is quite often the most direct path to increased sales. 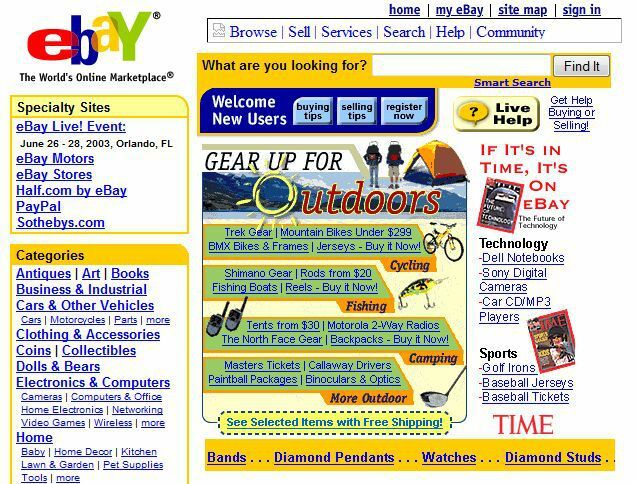 In the olden days, if an user had any difficulties navigating or making purchases in an ecommerce store, they would have blamed themselves. Seems astonishing right, but its true. Don Norman explains this concept of blame very well in The Design of Everyday Things. In the book, he describes that users will blame themselves although its the fault of designers/developers for creating a bad UI/UX. But those days are gone and lots have been written on how design has made millions of profits for eCommerce stores. So what exactly beauty has to do with your Shopify store design. So let’s move on to something more logical and analytical and design for humans, and not for your eyes only! In this TED video, Anjan Chatterjee uses tools from evolutionary psychology and cognitive neuroscience to study one of nature’s most captivating concepts: beauty. Learn more about the science behind why certain configurations of line, color and form excite us in this fascinating, deep look inside your brain. At MotiveSense, when we work on any eCommerce project, our goal is to make it a sustainable and a revenue generating machine. But a whole lot of success depends on the products that you sell in the eCommerce world. When talking about how to increase Shopify conversions, I don’t want to teach you what products to sell. But, deciding what products to sell and what to stop is an important part of Conversion Rate Optimization (CRO). The first requirement for a Shopify store is to help your customer to shop without any fuss. So let’s watch what the UX guru, Dan Norman has to say about the User Experience(UX) in simple words. The User Friendliness of finding the necessary information from the store. And, finally living with the product or service! Copywriting is one of the most ignored facets in the world of eCommerce. 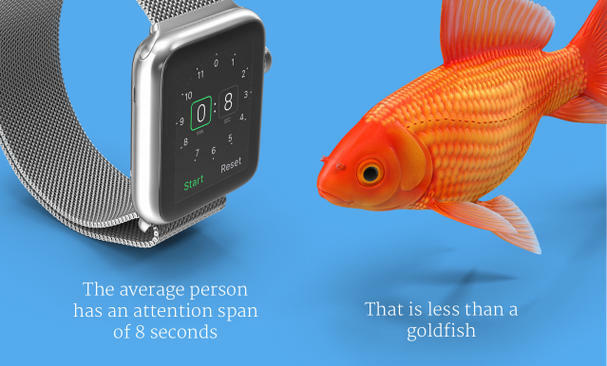 In a research done by Microsoft, its found out that we are having an attention span of eight seconds (less than the average Goldfish). Conversion oriented Copywriting + UX + Design can go a long way in grabbing your user’s attention and make the sale! You might have wondered about the difference between Conversion Copywriting and Copywriting. Its not rocket science! In conversion optimization, every word counts! So make sure that whatever you write is in sync with your conversion optimization goals. Shopify is having an awesome SEO architecture which takes cares of the Technical SEO and on-page SEO aspects. This relieves of your pain of making your eCommerce system SEO compliant. Shopify blog is also having an interesting SEO section which provides snackable SEO tips! Pages that are tailored for quality engagement will rank better than overly SEO-optimized web pages. Customers will only buy your product if they believe that the value they’re receiving is greater than the price they’re paying; otherwise, why would they pay? Pricing is the most critical component to maximizing your profits. Harvard studies have found that a 1% improvement in your pricing can add up to 11% to your profits. Pricing also affects your branding and reputation. Too high prices will steer away some customers. And, too low prices will make them skeptical about your product’s quality. When faced with the responsibility of increasing the revenue or profits for any Shopify store, make sure that you’re doing the right things. Shiny Object Syndrome is bad for your business’s health! Do your research, seek a Shopify expert’s help, and, above all, trust yourself. And, promise me that you’ll leave eCommerce Conversion Rate Benchmarks and your competitors in the dust!